England's World Cup-winning rugby team are the stars of the New Year Honours list, with awards for the whole squad. There is a knighthood for team coach Clive Woodward, while captain Martin Johnson was made a CBE and man of the moment Jonny Wilkinson an OBE. Other big names from sport, showbiz, politics, medicine and industry were also honoured, as were members of the public including a school janitor. 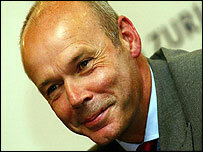 Mr Woodward said he was "delighted and honoured" with his knighthood. Most of the squad, who visited Buckingham Palace just weeks ago for celebratory tea with the Queen, are becoming MBEs. But his trip to the palace to pick up the OBE will be the third for Wilkinson, who was appointed an MBE in December but now has a new honour. 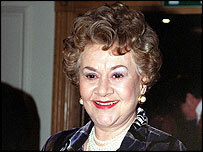 "I am thrilled and honoured... It is great to see everyone recognised for their achievement," he said. "The honours the squad have been awarded are richly deserved," said Woodward, of Cookham, Berskshire. His knighthood was "a tribute to every member of the squad, the coaches, management and the clubs, who have all made a significant contribution to our success," he added. England's rugby heroes - who celebrated victory in late November - have been included even though nominations normally take months to consider. The decision to honour the team so soon contrasts with the 34-year wait endured by many of the 1966 football world cup winning squad to receive any official recognition at all. A Downing Street spokeswoman said: "The prime minister felt it was important that their fantastic achievement should be marked as soon as possible." Number 10 said a review of the system, designed to make it more independent and transparent, was under way - but did not say whether it would be completed in time for next year's list. In November it emerged that one of the refuseniks was poet Benjamin Zephaniah, who turned down an OBE (Officer of the Order of the British Empire) because it he claimed it stood for colonial brutality and slavery. But entertainer Roy Hudd, who was appointed an OBE this year, said: "I don't care whether it's the British Empire, the Croydon Empire, the Chelsea Palace or the Lewisham Hippodrome, I'm just delighted to be thought of." And presenter Nicholas Parsons, also a newly appointed OBE, said: "If someone offers you an honour which is really like a gift, you don't actually return it - I think that's a little bit pompous and small-minded." Other well-known names from showbusiness, the arts and media in the list included musician Eric Clapton (CBE), actress Joan Plowright (DBE), TV presenter Chris Tarrant (OBE) and Ray Davies, co-founder of The Kinks (CBE). Downing Street said tennis star Tim Henman was made an OBE for being "one of the best players Britain has produced for many years". It would not comment on recent press reports that he was included simply to add interest to the list. Henman himself said he was "pretty disappointed" that news of his inclusion had been leaked to the newspapers. "But I will go to receive the honour with a massive amount of pride. I am extremely honoured," he said. Other sporting figures to be honoured include Celtic manager Martin O'Neill (OBE), former Olympic champion javelin thrower Tessa Sanderson (CBE) and former boxer Michael Watson (MBE), who said he was "deeply touched and honoured". In the world of science there was a knighthood for Tim Berners-Lee, the inventor of the world wide web. And Professor Martin Evans, the scientist considered by many as the chief architect of stem cell research, also receives a knighthood. 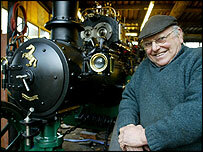 Steeplejack-turned-TV personality Fred Dibnah has been awarded an MBE for services to heritage and broadcasting. The "ordinary" people in the list included those working in such jobs as lollipop ladies, school janitors and milkmen. There was also an MBE for John Styles, of Sidcup, Kent, one of the nation's leading Punch and Judy experts. He said: "I still have absolutely no idea how I came to be nominated. Mr Punch is so politically incorrect." Three MPs were knighted - Labour's Stuart Bell, the Tory John Butterfill and Liberal Democrat Menzies Campbell. Mr Campbell said he was "very surprised" but "honoured and flattered", saying that he was glad to be recognised for services to Parliament rather than to his own party. Of the 981 names on the list, almost half are involved in some form of voluntary service, and 20% work in either education or public health, with other public services also represented. Downing Street said the list reflected the achievements of those who "work at the sharp end". It highlighted the work of Dexter Hutt, the head of Ninestiles Secondary school in Birmingham, and Bernard O'Connell, the principal of Runshaw College, in Ribble - who both receive knighthoods. But two years ago, a secret review by Number 10 of the honours system found the nine clandestine sub-committees that sift through the recommendations are predominantly made up of white, male civil servants over 50. The twice-yearly lists are still dominated by military figures and members of the civil service, the report found. "It's honours all round - as befitting a real team achievement"